An Unsurpassed Interdisciplinary Focus SSA's approach is interdisciplinary and intellectually pluralistic. 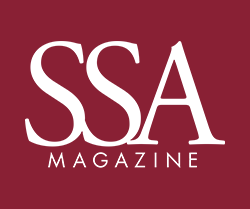 SSA leads the field through interdisciplinary research, integration of clinical practice and social policy and administration, rigorous social work education that integrates theory and practice, and the international influence of its faculty and alumni. SSA's approach is interdisciplinary, and intellectually pluralistic. The problems of social welfare are the product of an extraordinarily complex matrix of interrelated causes. Finding effective solutions requires a similarly complex integration of disciplinary lenses. To find those solutions, SSA brings together the best faculty minds in social work, psychology, sociology, political science, public policy, public health, economics, geography, and anthropology. These minds collaborate within the University and throughout academia to forge tangible solutions to real-world problems. Our faculty are well versed in the major issues of the day and are often involved in the framing of those issues. They are experts in the methodologies of research required to explore those issues. They are pioneers, discoverers, and change agents. They ask tough questions and pursue knowledge with rigor because they believe in the transformative power of ideas. Our faculty bring the insights gained from their scholarly investigations into the classroom, encouraging critical questioning and ensuring that students have up-to-date knowledge of trends in the field. Our cutting-edge scholarship and research informs and provides social work professionals with the practical and intellectual tools they need to effectively serve clients, shape policy, and lead organizations and communities.